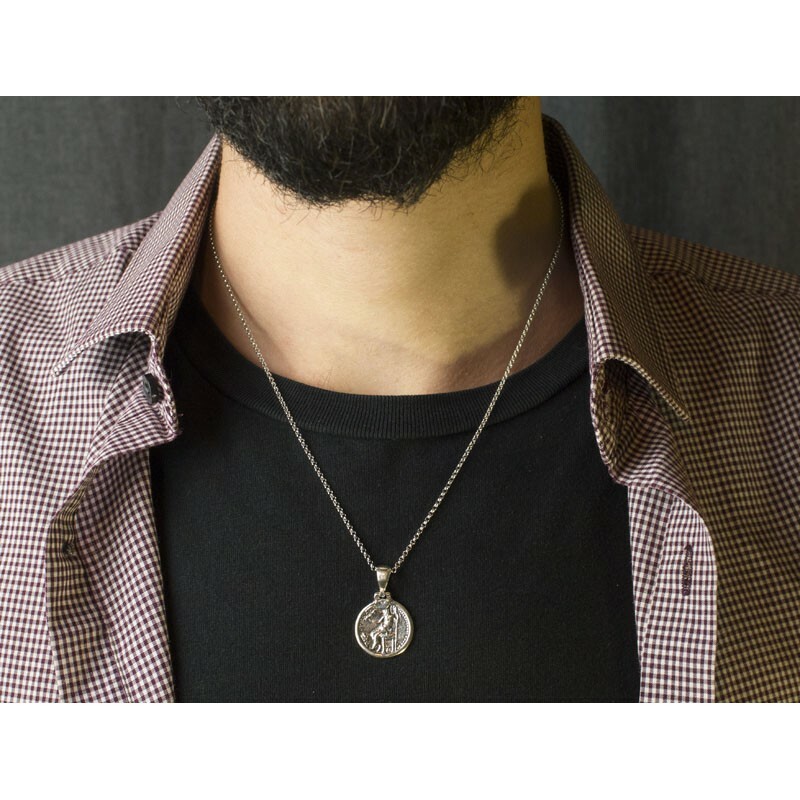 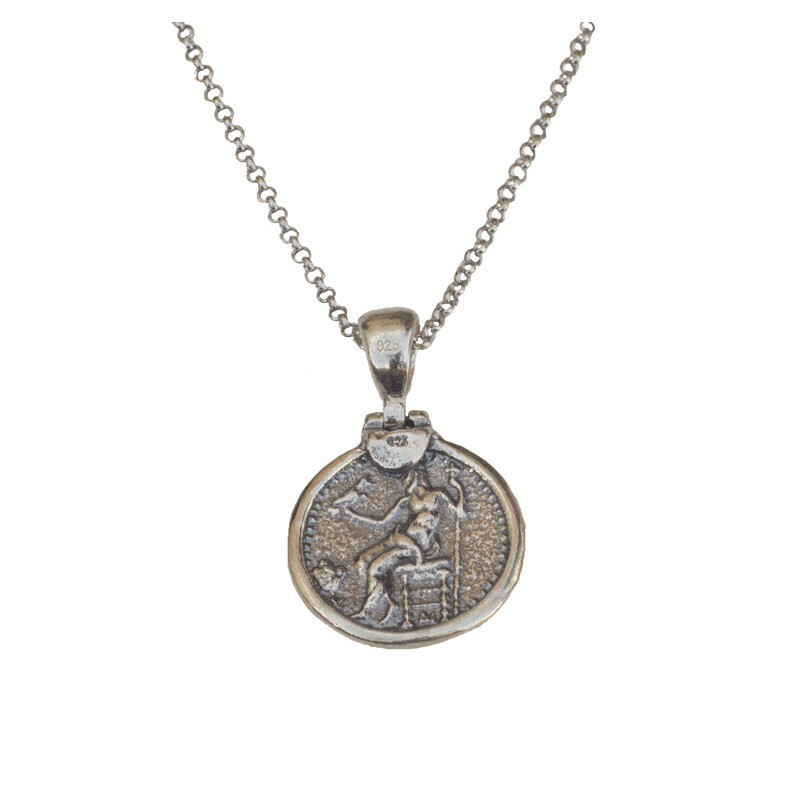 Handmade men's jewelry, a double-sided pendant with the head of Alexander the Great on the one side and Zeus on the other, sitting on a throne holding a scepter and an eagle. 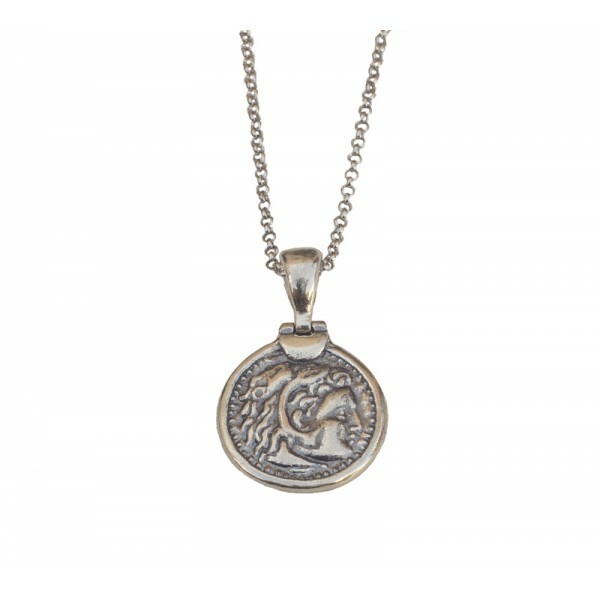 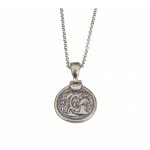 The pendant is a copy of a silver tetradrachm of 323-320 BC. 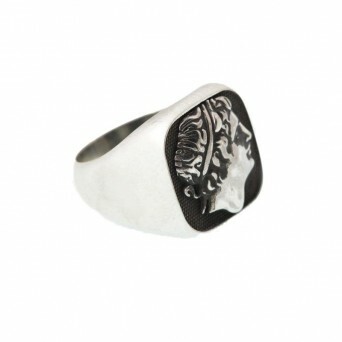 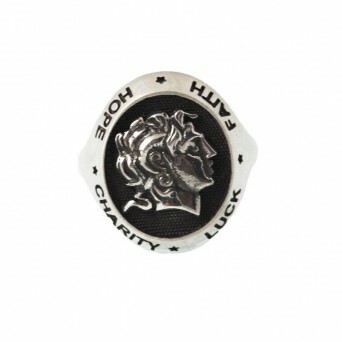 Hanging from a thin chain link ring made of platinum plated silver. Handmade men's jewelry, a double-sided pendant with the head of Alexander the Great on the one side and Zeus on the other, sitting on a throne holding a scepter and an eagle. The pendant is a copy of a silver tetradrachm of 323-320 BC. 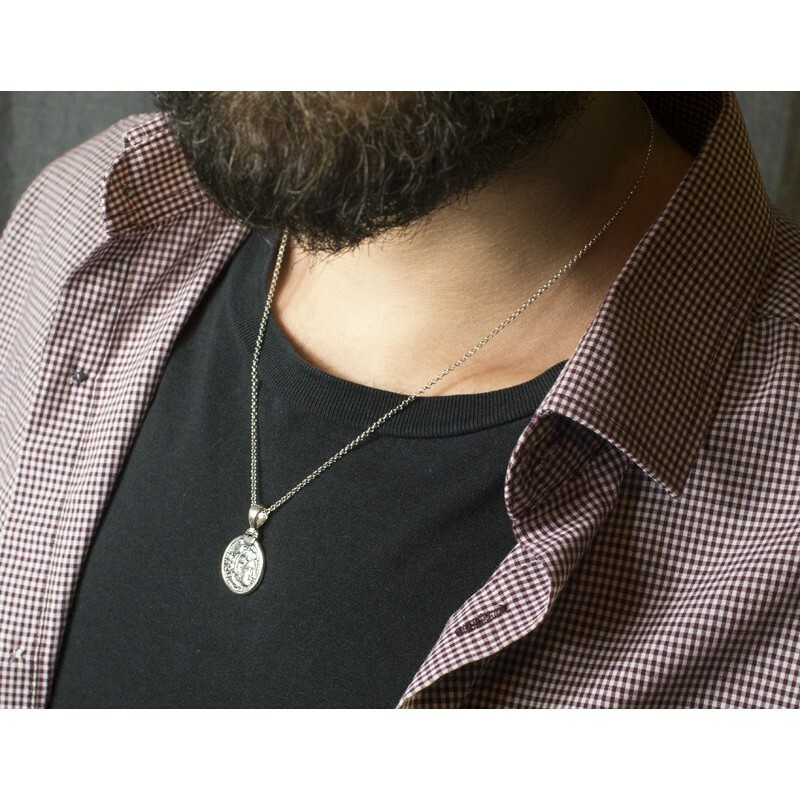 Hanging from a thin chain link ring made of platinum plated silver.